Every non-profit organization is interested in raising money. Let Belk stores help you by participating in its upcoming Charity Day Sale event. Start your Spring season off right, plan early, to get your 501c3 organization involved in this exciting event. The Charity Day Sale is a private, four-hour sale dedicated to supporting local non-profit organizations. Participating charities will have the opportunity to raise money for their organization by selling tickets for $5 each and keeping 100% of the ticket proceeds. Ticket holders will receive $5 off their first purchase plus discounts 20% – 70% off of Belk purchases storewide, including special savings on rarely-discounted brands. It is a win-win! Belk’s two Charity Day Sale events in the last year, together raised more than $11 million for thousands of participating charitable organizations located in Belk’s 16 state market area. Our Spring Charity Sale is set for Saturday, May 5, 2018, and we’re reaching out to all non-profits in our community so those who participate can begin making their fundraising plans soon. Tickets will be available from Belk store, 270 Citrus Tower Blvd, Clermont, Florida, 34711, after March 3. So, if you would like to participate in this program or know of any non-profit organization that would like to earn money for their group, please contact us. You will have two months to sell your tickets and make your organization have a successful fundraiser. 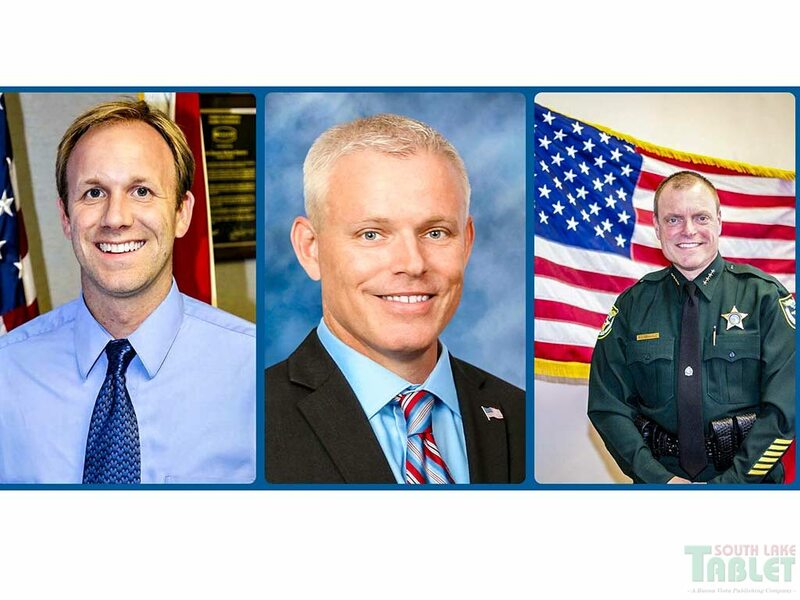 Lake County Commissioner Sean Parks, Sheriff Peyton Grinnell, and School Board Member Marc Dodd invite the south Lake community to attend Coffee and Conversations, a regularly hosted gathering, offering convenient opportunities for South Lake County residents to speak one-on-one with various officials representing the county. Friday, April 26 from 8-10 am, business owners Jonathan Acosta and Ashley Condon will host the gathering at the Florida Angler, 786 Montrose St., Clermont.